NanYang Royal Hotel Guangzhou is the epitome of elegant and modern amenities and impeccable services. It is ideally located close to the Central Finance Exhibition District that is convenient for shopping and entertainment. 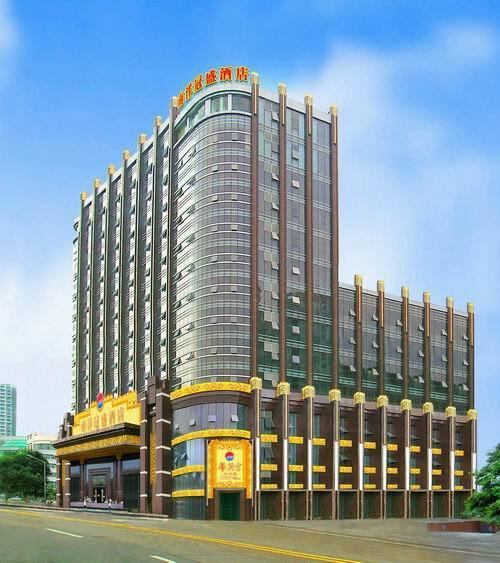 It is the most luxury and impressive hotel around Pazhou Complex. It is only a 5 min-drive from Pazhou Complex, 5-min drive from Guangzhou East Railway Station (Express Train from Hong Kong to Guangzhou) The hotel boasts 268 elegant rooms and suites are designed with Victoria artistic style. 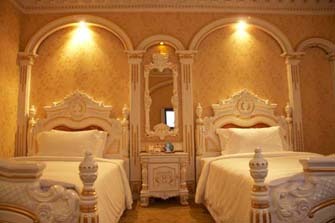 Our special interior design makes guests feeling live in Palace. NanYang Royal Hotel is on the opposite of TianHe Park, all the Superior Lake view room provides ample sunlight through French windows, and guests can touch and feel fresh air everyday and enjoy modern city night view everyday. Nan Yan Royal hotel has an operation area is 30,000 square meters and our 268 elegant rooms and suites are designed with Victoria artistic style.Each room equipped with Internet access, Mordern Large Screen LCD, and all single rooms have super king size bed, our bathroom are set modern style multifuntion shower set, you can get rid of tiredness in large and clean bathroom after a long time trip. NanYang Royal Hotel is on the opposite of TianHe Park, all the Superior Lake view room provides ample sunlight through French windows,you can touch and feel fresh air everyday and enjoy modern city night view everyday.